You have your spare underwear, your inflatable neck pillow and your guidebooks, but do you know how to deal with certain travel disasters that could plan you’re perfectly planned holiday? 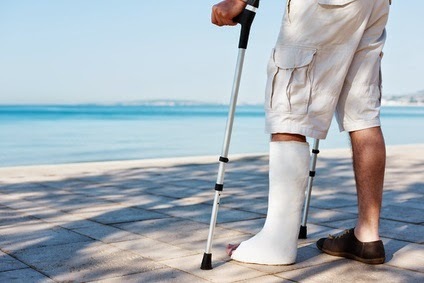 Putting travel disasters at the back of your mind will not prevent them from happening, but if you break your leg while hiking or lose your passport gets stolen somewhere the right amount of preparation can certainly ease your pain. 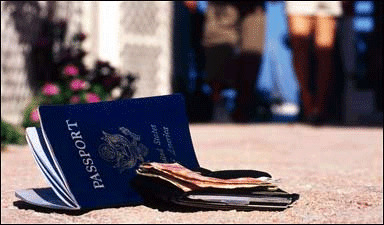 - It is a travelers worse nightmare; opening your bag, purse or wallet and discovering that your passport has disappeared, whether it’s lost or stolen, you’ll never know! The main dilemma is that it’s gone and you should act immediately, return to your hotel and search from corner to corner for it; if that is unsuccessful contact the embassy right away. Missed Flight- It’s a bit unfair if you think about it, your flight could be hours late and of course you don’t get an apology, but if you are two minutes late, running to the gate the last millisecond just as boarding ends, you’ve pretty much botched up your flight. It’s a good idea to always arrive at least 2-3 hours before your flight, missing a flight could happen to anyone, even if you’re always on time things like security checkpoints to stormy weather can mess up your timing. 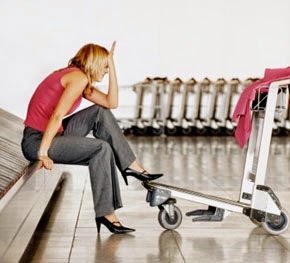 Lost Luggage- You see the bags coming towards you on the conveyer belt, but where’s yours? Even though you used a neon green luggage strap you still can’t spot it, you've probably realized at this time that the Airline has lost your luggage. Always hang on to your baggage claim ticket and make sure your name and contact details are on a label on the outside and inside of your bag incase this awful event happens. 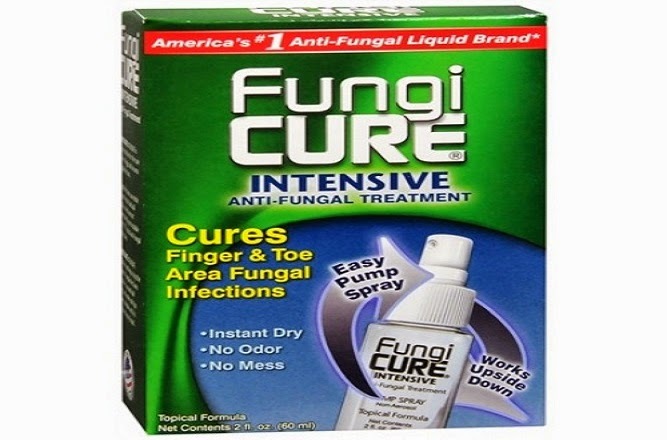 Illness or Injury on the Road- Getting sick away from the comfort of your home can be quite frightening, whether the doctors don’t speak English or you don’t understand the procedures in a foreign hospital, the best way to deal with it is to prepare for the problem before you depart. It’s an important idea to research the country’s emergency numbers, embassy phone number and address, and local English-speaking doctors and hospitals before your trip. Read through these travel disasters and keep them in mind when you’re planning your next holiday and before you leave make sure you take all the appropriate steps to help manage problems that might come up. If you know what to do when the worst happens, it can save you time and money and prevent your precious holiday from turning into a disaster. It’s not ideal when you arrive someone and you don’t have a shuttle service to get you to your accommodation destination, Airport Shuttle can help you out with their reliable, quick airport shuttle service! Plus they can drive you to 808 Cartwright, an affordable, luxurious self-catering apartment. Its Monday yet again, but it’s never too early to plan your weekend. From Murder Mystery on Halloween to bonanzas and fairs, Get ready because it’s going to be a three day amazing fest! A delicious four course supper and a fun fancy dress party a waits at the swanky Shimmy Beach Club, it will be an evening of murder and intrigue this Halloween! Tuck into the eateries new summer menu while the professional performers will interact with the audience (YOU!) or skip the formal dining event and get straight to the bone-chilling house beats played by resident DJs. This blood curdling event also offers an exclusive VIP party, views of the stunning seaside and you could win an amazing “best dressed party goer” prize. Gear up for a day of family-friendly fun runs, bike races and many more festivities at the Breede River Valley. 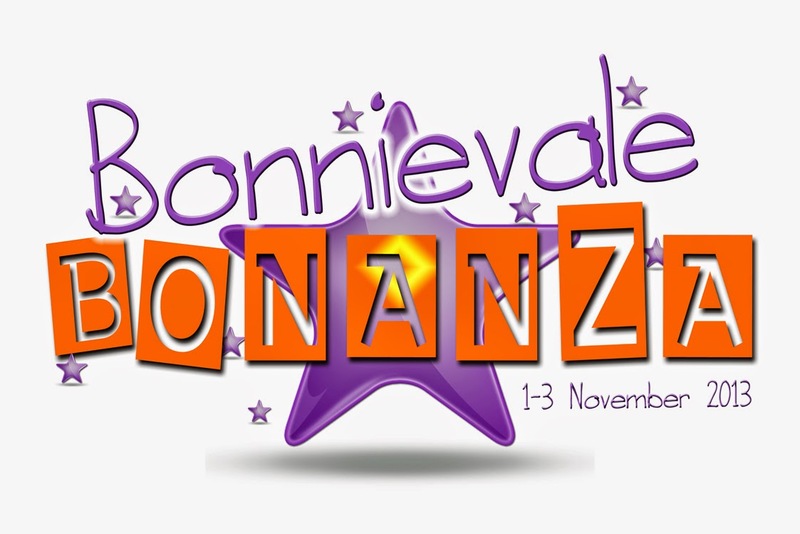 Whether you want to get out of the city for the day or you’re just looking for something exciting to do with the family, the Bonnivale Bonanza is just for you! The festival celebrates its 20th birthday this year and is kicking off with some adrenaline pumping activities, here’s what to expect: A celebrity chef dinner, SPAR potjiekos competition, a 4X4 adventure, craft stalls, activities for kids, veteran car show, not to mention the Ms. Bonanza pageant and top local music acts take to the stage. The festive season is coming soon, so stock up on gifts at this quaint, friendly fun-fair in Elgin Valley. 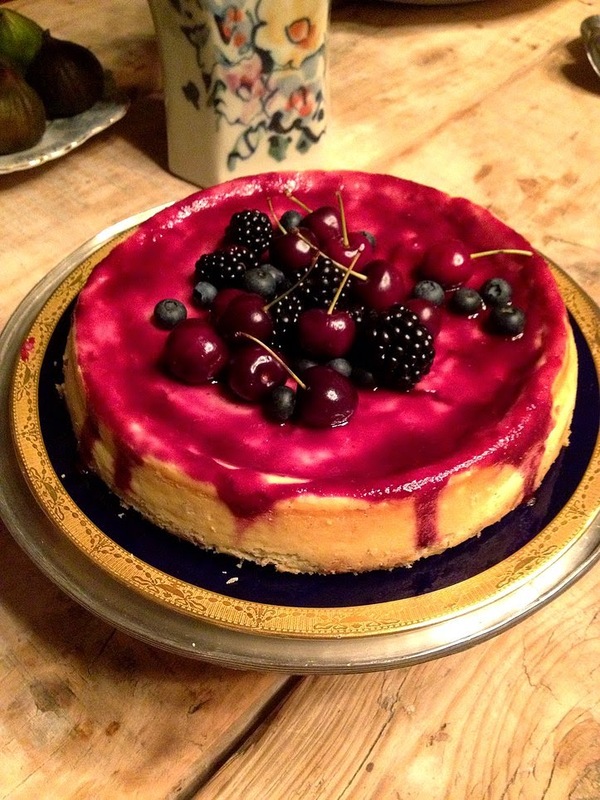 This charming affair is going to be filled with a huge array of delicious goodies, amazing home-made Christmas gifts and fun for the entire family. Gather your family and friends and make a day of it, why not stock up on some wrapping paper and Christmas decorations, while you browse through some potential gifts like handmade kitchen décor to 100% natural skin care products! If you bring the kids along their also in for a treat of face painting and pony or tractor rides, so do your shopping early and miss the manic masses. Make sure to start planning right now and prepare to have a bit of well-deserved fun this up and coming weekend, whether it’s fun and games at Shimmy Beach Club or gift shopping with family and friends, its bound to be unforgettable. Are you looking for affordable, comfortable, self-catering accommodation in Cape Town? Visit 808 Cartwright, its just what you're looking for, not only that, but you can be transported there from Cape Town International Airport in the fast, reliable shuttle service Airport Shuttle! Before you start any journey, you always have to pack all the necessary stuff – clothes, toiletries, gadgets and so much more, don’t forget to pack in a little medication, it may sound boring, but it’s an important precaution! Always pack in these medications to help ensure healthy travels on our African continent. There are many kinds of motion sickness, the most common ones are car sickness, sea sickness and air sickness. Distances in Africa are long and you might have to drive from point A to point B for many hours on a rough, bumpy road and getting sick is the last thing you need. 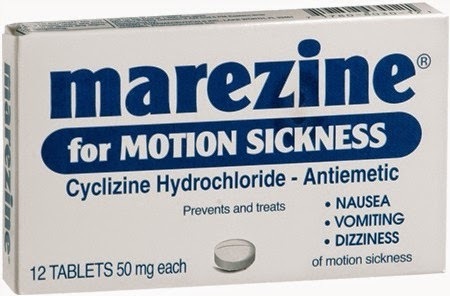 These motion sickness remedies like codeine (Promethazine), Marezine (Cyclizine) and Dramamine (Dimenhydrinate) are available over the counter. Lack of clean water, poor sanitation and hygiene have led to an increase of cholera and diarrhea in Africa! 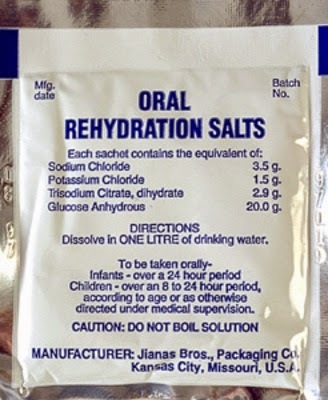 It is highly advisable to bring along some oral rehydration salts, they help replace lost electrolytes, sodium, glucose and potassium that people lose when they suffer from cholera or diarrhea (they also help with hangovers after too much local beer). You might want to taste all the new, different foods in Africa, but your body might not be used to certain foods and it could cause constipation or irritation in your belly. Laxatives are not glamorous, but it’s better to have them and not need them, right? 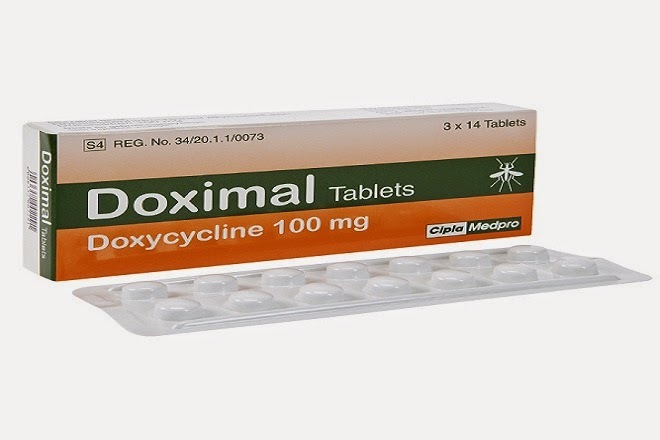 Dulcolax is a common laxative that can be purchased over the counter. 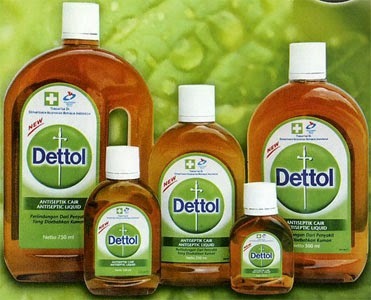 It is always so much better to have some remedies nearby when you’re travelling just in case you get sick, travelling is all about enjoyment and bringing along some simple medication can bring you complete peace of mind. Have your travels led you to the Mother City? Give the guys at Airport Shuttle a call they can get you safe and sound to any destination, like the affordable, luxurious 808 Cartwright self-catering accommodation. 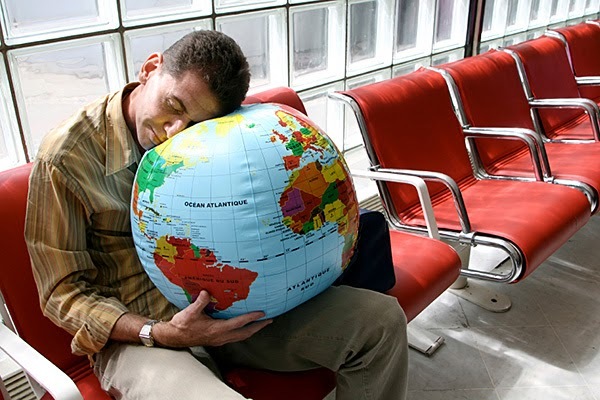 If you’re a traveler you know that it’s important to make the most of your holiday, but if you’re flying across time zones it can take a bit of time for your body to adjust, even up to several days, no one wants to waste their time away with all sorts of unpleasant feelings like fatigue, insomnia, confusion and irritability. Don’t worry if you’re travelling soon here are some effective things you can do to fight jet lag and what to do once it sets in. A few days before you get on your flight, gradually shift your eating and sleeping times to match the destination you’re going to. Then more time zones you’re flying across the earlier you’ll have to start. Drink plenty of fluids before and on your flight, dehydration is one of the symptoms of jet lag. Always stay away from alcohol and caffeine! This is very important if you’re traveling overnight or flying east to west. Traveling is very tiring and it can drain your body completely, if you can afford it fly business or first class or just get a window seat and a pillow. A sleeping pill with a short cycle can be useful on overnight flights, make sure you take the dosage correctly though, you don’t want to be groggy when you land. Avoid eating the food on the airplane, they’ll serve food based on the time zone you’re leaving. If you’re hungry just snack lightly and eat during what would be meal times at your destination. When you've arrived at your destination spend as much time as you possibly can outside in the sunlight, the exposure will help your body adjust to the new time zone. Not only is your sleep cycle adjusting but so is your digestive routine. Large, rich meals will make it harder for your body to adapt, stick to light meals in small portions. This is the hormone your body naturally creates around the time you usually go to bed, so if you take it at the time you want to tell your body to go to bed it can help your internal clock to adjust. Jet lag can be the main killer of your productivity and enjoyment while traveling; do you really want to spend the first few days of your holiday sleepy and confused with no appetite? Keep these helpful little tips to almost try and “trick” Mother Nature into letting you fly around the world without getting jet lag. Has the horrible jet lag hit you hard? Rest up at comfortable, affordable, self-catering 808 Cartwright Corner! You can travel there from Cape Town International Airport with Airport Shuttle, contact them for the best, reliable, convenient shuttle service. When we travel it is meant to broaden our mind and enrich the soul, its surprising how most of us travelers believe and do things while travelling that aren't actually necessary. Have a look at these travel myths and consider why they are, in fact, only myths. 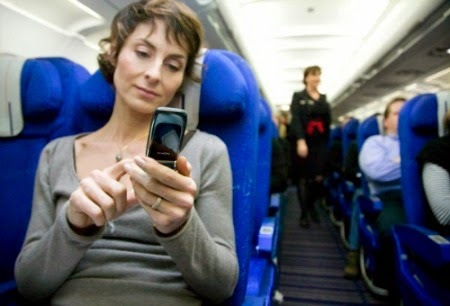 Cellphones and other electrical equipment can interfere with the plane’s signals but your cellphone itself will never make the plane crash! The reason you’re asked to switch them off until a certain altitude is because taking off and landing is the most important times for the plane to have a clear signal. 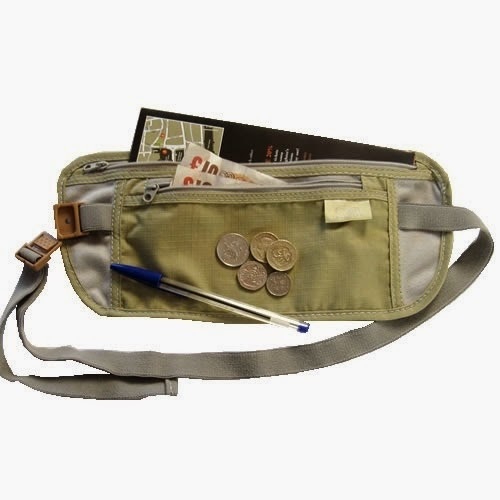 Despite what you might believe not everyone is out to get the tourist, it’s not absolutely vital for you to carry a money bag especially not a horrible looking moon bag. You’re only a target if you make yourself one. 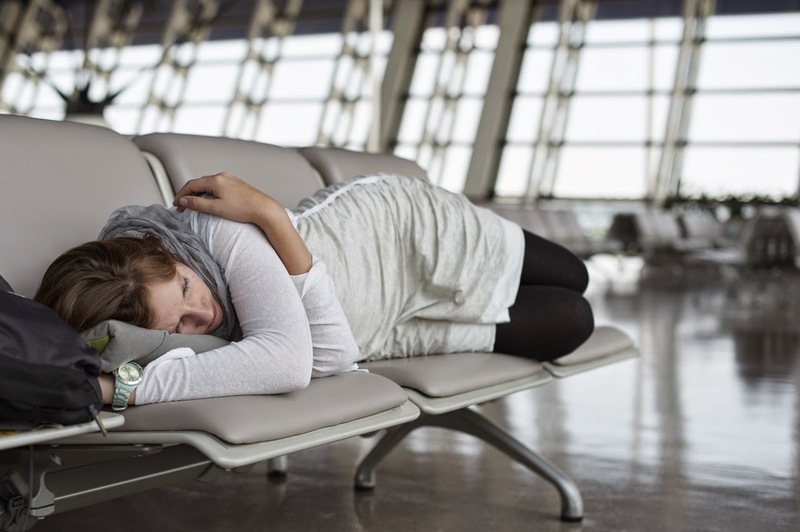 Sleeping through your whole flight wont necessarily cure your jetlag, it is actually caused by the massive shift in longitude, when your days and nights are messed with your rhythm is thrown out of balance and this is called jetlag. 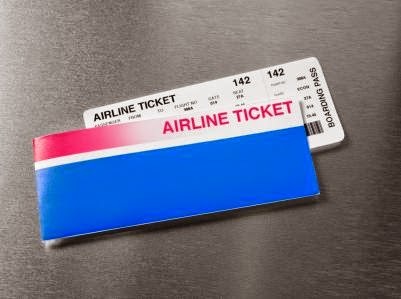 You may think that because the airline wants to book all their tickets out they’ll bring down the price, but this isn't always the case, a lot of times the airline will actually bring up the price because they know many people need tickets. Do you see all the ingredients that go into your food in a restaurant? No, but you do see all the ingredients that go into street food. 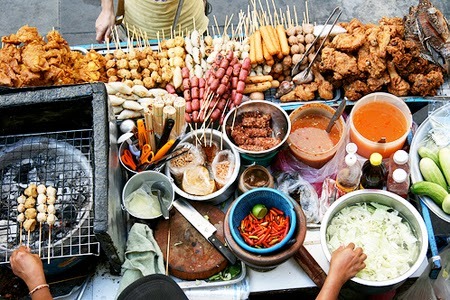 Many people would rather eat at a restaurant in a foreign country than eat their street food, but chances are if its deep fried anything unhealthy will get burnt to death before you put it in your mouth. It’s true that the air on a plane is recycled, but that does not mean you’ll get sick, the reason you sometimes have a cough after a flight is because the air is so dry that high up that it dries the mucus membranes in your nose and that stuff protects you from germs! We've all heard of these myths and how many of us have missed out on a travel adventure because of the fear caused by these silly urban legends, luckily for you these myths have been debunked so you can go about enjoying your travels without any worries. Airport Shuttle in Cape Town can assist you in a ride to and from Cape Town International Airport, their services are quick, reliable and they can transport you to a great self-catering accommodation like 808 Cartwright in the amazing city centre. 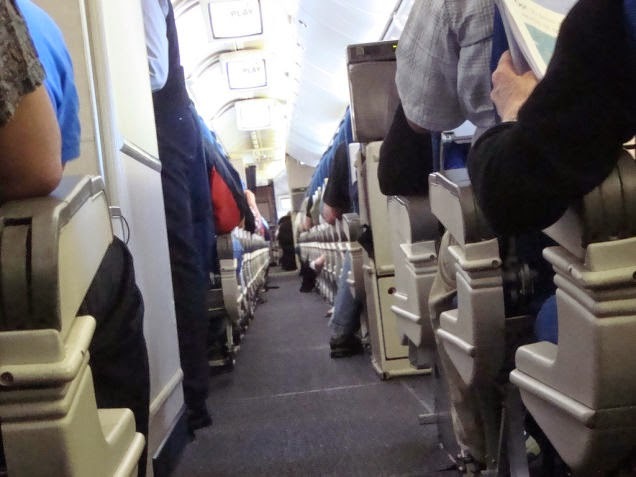 So you've booked your flight, you’re all excited to go on your trip whether it’s for a holiday or to visit some good friends, but there’s one problem you haven’t flown in years or worse you've never been on a flight before. You have no clue what to do, how to check in for your flight, get through security or get to your gate… but never fear there are some easy, helpful tips to get you through your flyer experience safe and sound. If this is your first time flying, its best to be prepared before you even leave for the airport. Restrict what you choose to pack into your suitcase, I mean do you really need that huge tub of hair gel taking up weight and space in your bag? And it’s just common sense that you can’t bring prohibited items with you like firearms and dangerous chemicals. There are many pros and cons to whether you should check your bags in or to carry your bags into the cabin. Sometimes it is better to carry your bags because your bags will never get lost and lost luggage can be such a drag, plus you always know your stuff is securely with you at all times. In other cases it’s better to check-in your bags because there are always strict baggage limits that you can take into the cabin with you, so if you’re a heavy packer it’s a lot better to just check your luggage in so you don’t have to fight everyone on-board for overhead bin space. It’s always a good idea to check with your airline a day before your departure, another thing to note is that it’s a good idea to arrive at least two hours before your flight, you never know how long the lines will be when you arrive. If you live in Cape Town and the surrounding areas, Airport Shuttle is the cheapest, most reliable public transport to get to and from Cape Town International Airport, this way you don’t have to be frustrated by expensive airport parking. Make sure you have no sharp objects like scissors or nail files on you, they should be checked into your bags. Be ready to remove you shoes, belt, watch or anything that could contain metal. If you have a laptop with you remove it from its case or bag and place it in a separate bin. Keep your airport ID and boarding pass available in case you have to show any officials. Once you've made it past the security checkpoint you can then proceed to the boarding area, usually boarding happens at least 30 minutes before the departure, so make sure you are on time. As you move along you will pass an airline gate agent and they will take your boarding pass (sometimes they ask for your ID) its then time to get on the plane, find your seat, fasten your seatbelt and get ready for your flight, you have officially made it through! Always keep in mind that all airports are different, so the layout of the terminals and gates and the general amount of airport services may be different. To get through your first time flight smoothly, just make sure to keep these tips in mind and you’ll be on your way to fly those friendly skies. You've just arrived in Cape Town and you need comfortable, affordable accommodation in a convenient area, 808 Cartwright is the ideal place, make sure to book now. Are you ready for the gorgeous Mother City this weekend and the never-ending list of exciting things to do? There are just so many amazing things to do in our hometown, from after-work activities to soaking up some rays of Cape Town sunshine; it’s time to plan the weekend. Stop by this authentic Holland-style restaurant after a busy Friday at work for some tasty bites to eat, a few drinks and live music. This Netherlands inspired bistro offers a variety of amazing eats, bite into some bitterballen (round croquettes), crumbed mushrooms with “boerensauce” or maybe a delicious Dutch mezze platter which includes cheese, gypsy ham, olives and French baguette. This family-friendly eatery is cheerful and warm, so sit down, listen to the live music sung by gifted students from the nearby performing arts school, while the kiddies are distracted in the play area and enjoy your Friday evening. 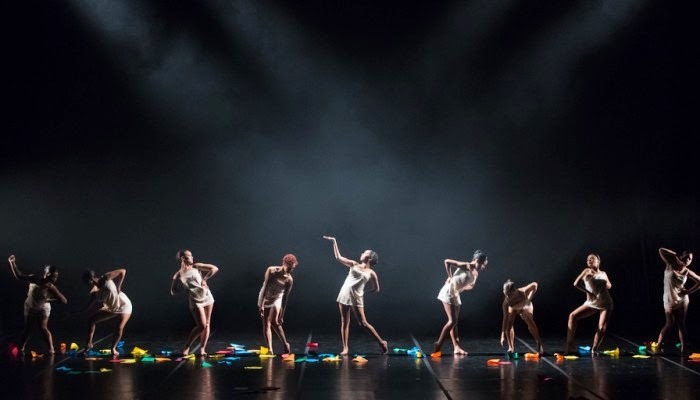 This yearly boogie gala has something for everyone, from ballet pirouettes to hip hop moves its time to celebrate a decade of dance. Bring your family and friends along with you to enjoy the variety of different young and emerging to dancers, choreographers and dance companies to showcase their skills for you. The lineup is jam packed so make sure you get your tickets now! 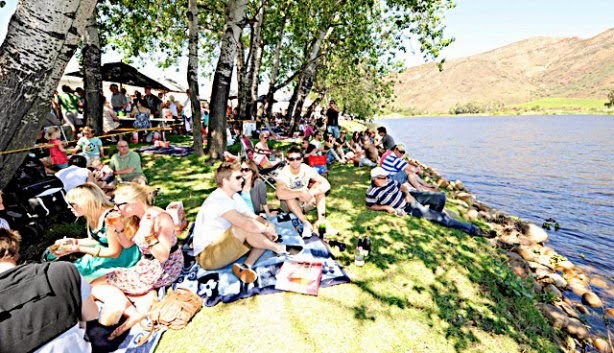 Finish off your weekend with some gourmet food, wine, boat cruises, live music and so much more on the beautiful banks of the Breede River. This fun extravaganza in the fresh air is the perfect way to celebrate the warmer weather with family and friends, while sampling the fruits of the valley and relaxing to the tunes of live jazz and blues. Luckily for you, there’s a lot of opportunities to be out and about this weekend in Cape Town with a variety of fun-filled things for you to do, so get out your diary and start filling it up now! 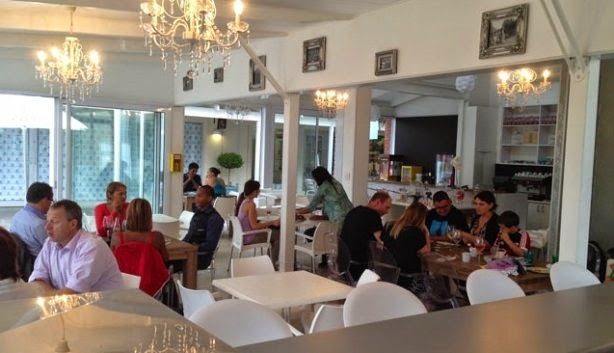 If you're looking for bright, comfortable self-catering accommodation in Cape Town, 808 Cartwright Corner is the place to be, do you need a shuttle service to get you there from Cape Town International Airport? Just call Airport Shuttle and you're sorted for the weekend. Have you ever arrived at the airport after spending hours packing and then suddenly realized you've forgotten all those little things you actually really need. From items that make your trip more comfortable to little accessories that can make your travels so much smoother and stress free, so what should you pack? It’s always a good idea to get some rest during your voyage, you don’t want to be grumpy and tired when you arrive at your destination. 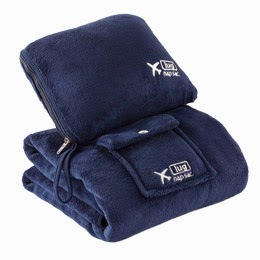 Do yourself a favour and buy some specially designed travel blankets and pillows to make it easier for you to get some sleep. 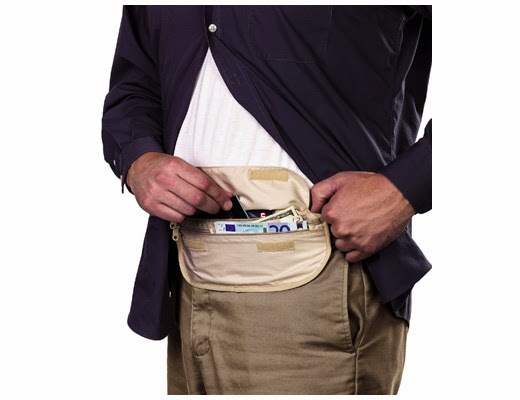 Don’t go around carrying your money in a huge, obvious bag or pack around your waist, you’re just making yourself a target for thieves, rather use a discreet pack to keep your money and credit cards hidden in. 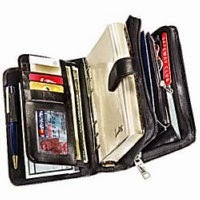 When you’re busy travelling you want to keep important documents safe and easy to access, consider buying a small organizer pack you can wear comfortably when you’re on the go and also store everything in safely. 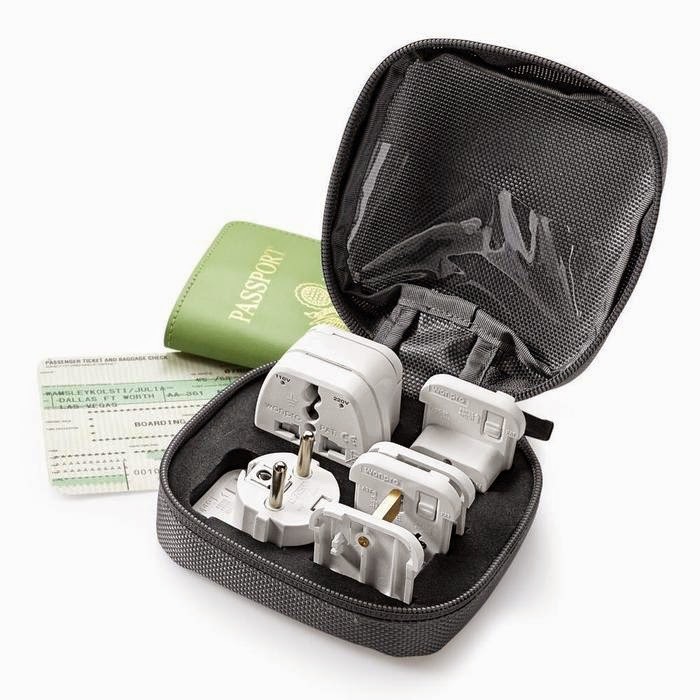 Never, ever forget that if you are travelling to another country they use different electrical outlets. You won’t be able to charge your phone, camera, laptop or any other electrical devices if you don’t have an electrical converter set. If you don’t want to avoid thieves stealing your belongings a small, but tough luggage lock is a good idea. 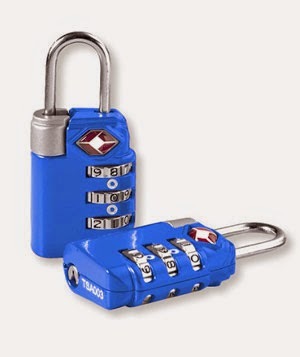 Before you go out and buy a huge padlock make sure it is lightweight and TSA-friendly. 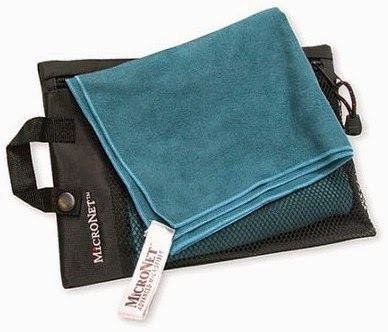 You’re regular bath towel probably takes up about half of your suitcase, rather bring along a small travel towel that will barely take up any space and it’ll dry a lot faster. It’s a great accessory to have no matter where you are travelling to. 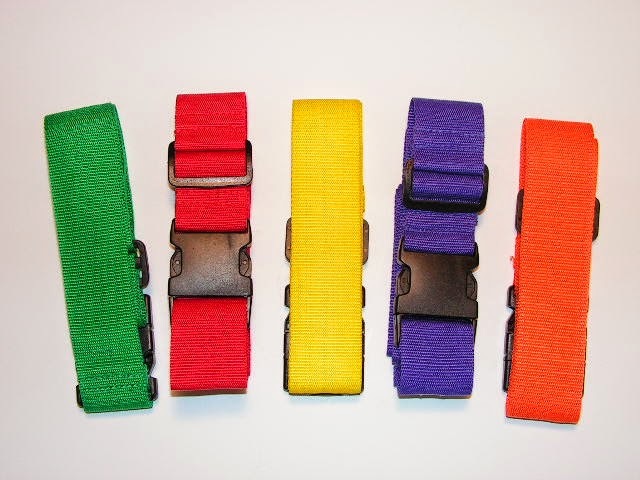 In your mind your luggage may look unique, but once you see all the baggage on the conveyor belt it’s hard to get confused, get a brightly coloured or patterned luggage strap and it will make your luggage strand out from the pack, then you can grab your bag and go. If you’re travelling its great it have a hassle free trip, always plan ahead and think smart because having the right accessories will ensure you’re prepared and can make your journey an amazing experience. Enjoy a well-organised holiday and give Airport Shuttle a call, they can shuttle you to and from Cape Town International Airport and make sure your ride is convenient and quick. Perhaps add 808 Cartwright to your list and you can also experience an amazing, comfy accommodation in the ideal area. It goes without saying that creating special memories every weekend is a big part of life, this weekend Cape Town has an interesting array of fun family activities for you and your loved ones to enjoy. Take a look at some of the amazing things to do on our gorgeous shores. Check out this mini-movie marathon to catch the best South African made masterpieces! 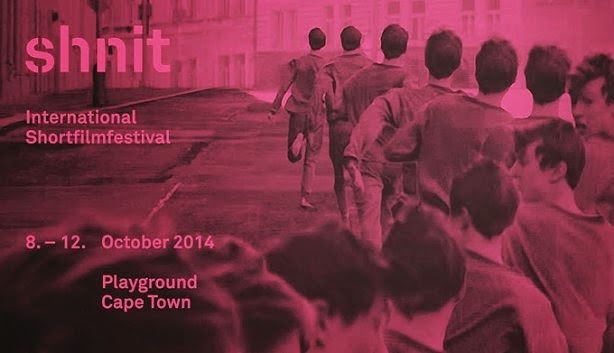 The Shnit International Short Film Festival has returned to take over movie screens across Cape Town; venues will vary from The Labia theatre, Pulp Cinema, Cinemuse and even more viewing spaces. Fans and newbies can enjoy the generally weird and impressive programme that is said to be the biggest and most important short films on the planet. It’s the final day of the weekend and it’s time to book this incredible wildlife experience! This Sunday special at Animal Ocean allows you to use one of their amazing GoPro Hero 2 underwater camera for FREE, when you book to go on their seal snorkeling adventure. 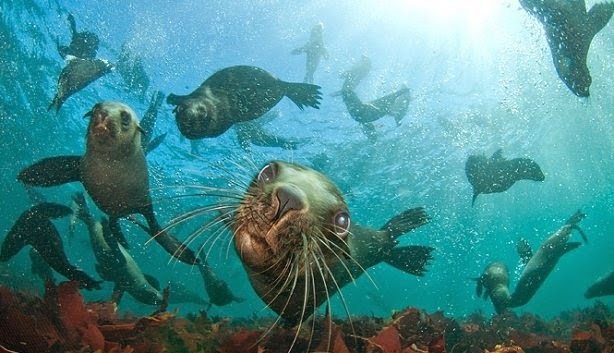 Once your adventure has started you will be fully kitted with an insulating wetsuit and a sort tutorial on how to use the camera, then plunge into the ocean and instantly be surrounded by the beautiful, elegant seals darting around you, don’t worry their ready for their close-ups! This weekend it’s time to grab your shades and sunscreen and gear up for a fun-filled 72 hours of great activities, from short films to diving into the chilly Atlantic Ocean, you’ll enjoy it all this weekend. Do you need a reliable shuttle service to travel to these amazing events? Contact Airport Shuttle. For a comfy, affordable place to rest your head, call 808 Cartwright, its as simple as that! If you've ever shopped for luggage, you should know that it’s not the easiest decision to make. When you have so many different bags to choose from, you need to not only think about whether you should get a bag, pack or suitcase, but also will the baggage fees cost you’re a small fortune, or will your luggage come back to you on the conveyor belt dented and broken. Backpacks can come in a wide variety; they are the best option for you if you are planning on going camping or hiking. I love these bags, they are comfortable to lug around and fit conveniently on your back. Duffel bags have become modernised and can now be used as travelling bags, they can fit nicely in the overhead compartment, but they can strain your body if you carry they for long distances. Soft bags are obviously easier to squeeze into the overhead compartment and they can absorb shock much better than the hard sided bags. Hard sided bags protect fragile items better than soft bags, not only that but hard bags can be ultra-light allowing your to meet the weight requirements without any hassles. What size bag should you buy? Remember if you can’t fit your carry-on bag above your head, you will not be able to put it in the overhead bin! So think carefully and try not to bring the biggest bag you can find. Make sure to check your airline for information about what different size requirements they have. Select a bag with a bright colour so you can spot it easily, a black bag is also the favourite colour for bag thieves. Make sure the interior of the bag fits your style, if you have a lot of accessories and bits and bobs try get a bag with lots of pouches and belts. Test your bag out, walk around with it for a bit and see if the handle is long enough and if its sturdy and comfortable. Choosing the right luggage for you can prevent some small tragedies, pick the right, sturdy, durable bag for you and you can experience the freedom of travelling without having to stress about your luggage. Do you need a shuttle service to lug your luggage to and from Cape Town International Airport? Call Airport Shuttle and they can be the service for you. 808 Cartwright also offers a comfy, convenient place to rest your head after a long, tiring journey. Arrive early to avoid getting hurried or holding someone up; you don’t want to start off your holiday with a panic attack. What is the point of pushing and shoving your way to the front of the line? 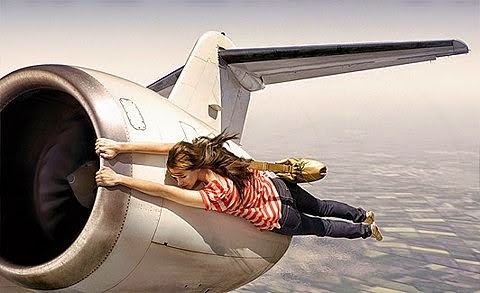 The plane will not leave without you! 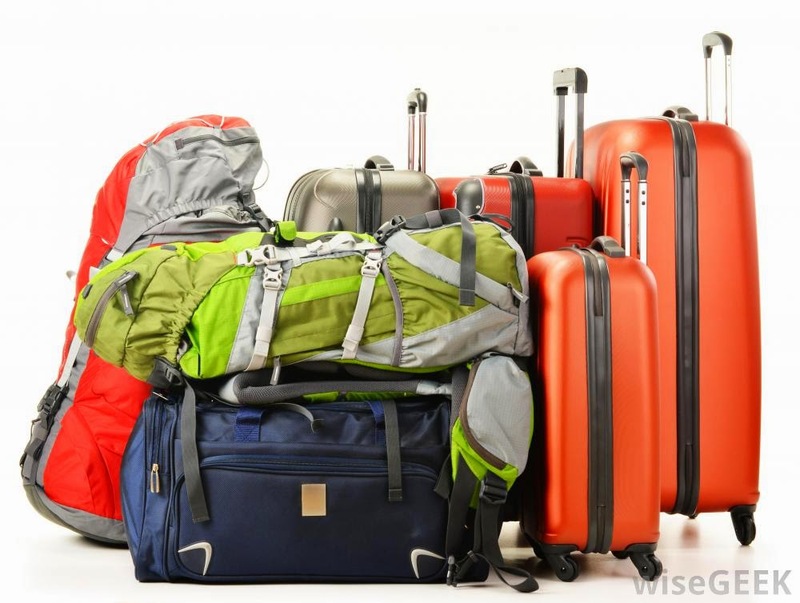 You can only store one bag in the overhead compartment, there is only so much space on board, you are flying not moving house. There are no winners in this war, work out a compromise; share the space and don’t hog it the whole time. They work really hard to make your flight as enjoyable as possible, treat them with respect and don’t give them a hard time. Think before you push you seat back, check how much space the person behind you has before you wedge it down for 12 hours. Yes you are hungry, but try to avoid bringing food that will stink up the cabin for the entire flight. Keep it quick; don’t do your make-up or hair in the mirror while seven people are waiting in the queue outside. When you have the window seat and you can see people are trying to sleep, lower the blind so they don’t get the blinding sun directly in the eyes. Face it there is no point in complaining and finding fault with everything, just try to relax and enjoy the flight, your holiday will start soon. If you ever need a fast, reliable shuttle service to take you to or from Cape Town International Airport, Airport Shuttle is the one to choose for a comfortable journey and friendly drivers.